Panta rei, “everything flows”. 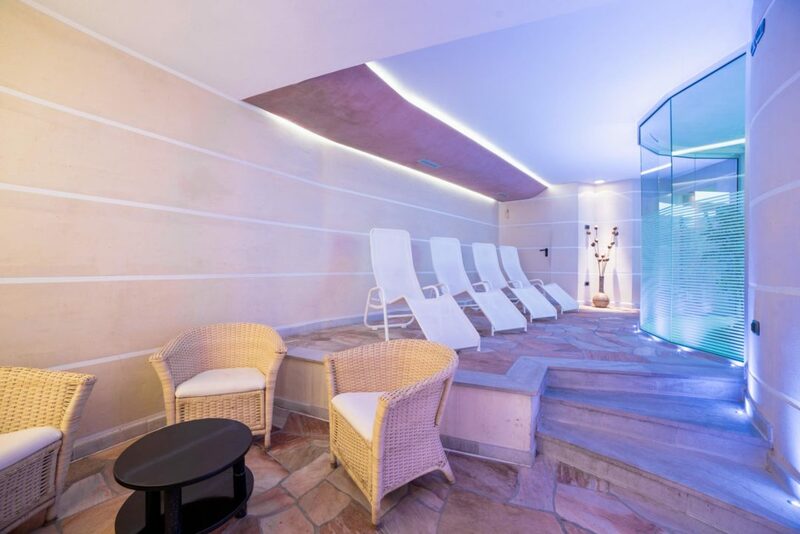 Inspired by this famous aphorism of Heraclitus, we designed the Chalet Caminetto’s wellness centre, which is one of the brightest pearls of this hotel in Monte Bondone. 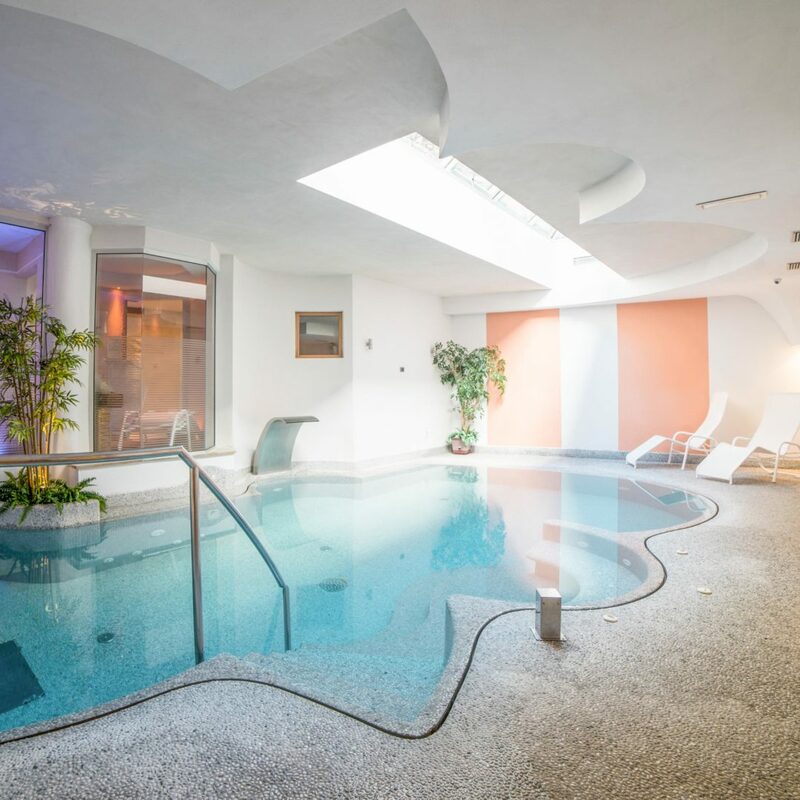 Immersed in the pool’s heated water you can start to perceive how, within these walls, time slows down to give you moments of intense pleasure. A pleasure that grows when accessing the SPA. 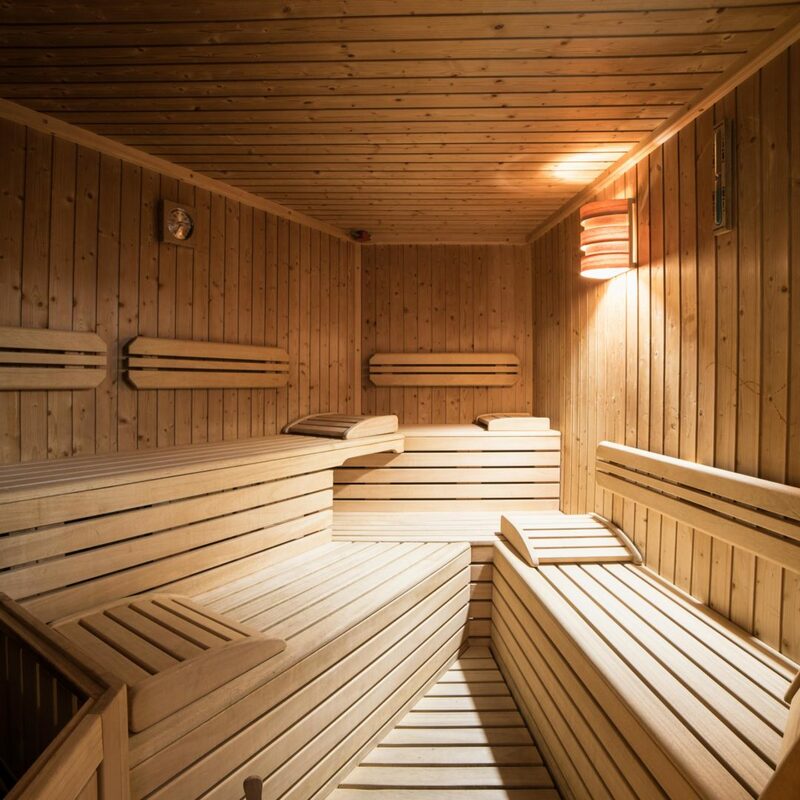 Here, on the beds of the Finnish sauna, among the steam bath vapours or surrounded by the positive and incomparable sensations offered by the sensory showers, you will find a rarefied and relaxing atmosphere. 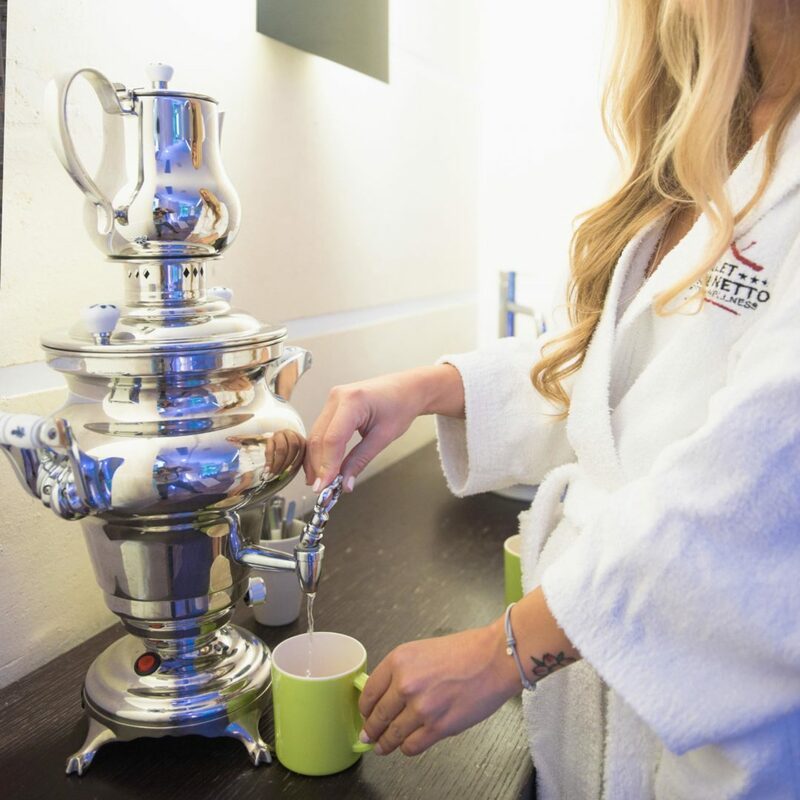 After a short break to enjoy the refreshing aroma of an herbal tea, it is time to indulge in the warm embrace of the jacuzzi hot tub, or let yourself be caressed by the tanning shower that awaits you in the solarium. The pool is always included in the price for hotel guests. A warm hug at 37/40 °C. What is included: changing room, towel, protective goggles, moisturising cream. Possibility to rent a towel for €3, and/or terry bathrobe for €6. Slippers for sale at €3 per pair. Men’s or women’s swimming costumes for sale, variable price.